Our company is offering Herbal Medicine to our valuable clients. In conformity with the concert of international quality standards, the offered capsule is processed using high quality natural ingredients and advanced processing technology. 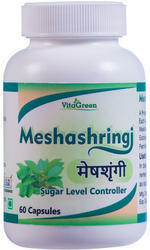 Meshashringi is an important Ayurvedic herb that is very effective in controlling the blood sugar level naturally. It naturally helps our body to delay the absorption of glucose in the blood. The main ingredient of the meshashringi is gymnemic acids. Gymnemic acids increase the release of insulin, formation of new pancreatic cells, helps your body in the utilization of glucose and also decreases the absorption of glucose from the intestine. It is effective for both types of diabetes i.e. insulin dependent and non –insulin dependent. It is responsible for lowering blood glucose level. It helps in the easy burning of the carbohydrates. It is used for diabetes, metabolic syndrome, weight loss, and cough. Meshashringi help to lower down the unwanted fatty acids in your body. It is also used for malaria digestive stimulant, laxative, appetite suppressant, and diuretic. Meshashringi also maintain your blood cholesterol level. Meshashringi also helps in liver infections and digestive tract ailments. The leaves of Meshashringi when chewed, destroys the tongue's ability to appreciate the taste of sugar and all saccharine substances. The leaf extracts contain gymnemic acid, which are known to inhibit hyperglycemia and use as anti-diabetic. It having used in metabolic syndrome, weight loss, and cough. The botanical name of 'Shigru' is 'Moringa Oleifera'. It is also popular by the name 'horse radish', 'drum stick'. Shigru herb is beneficial in inflammatory conditions of joints. It reduces pain and swelling in the joints. Shigru herb is naturally rich source of vitamins and minerals. Shigru is natural herbal remedy to treat Arthritis pain, Osteoarthritis and Rheumatoid arthritis. Recent researches have shown its importance to get rid of obesity. The fat-soluble vitamins in Shigru herb help one to lose weight. Shigru is used in the arthritis. It is very effective to reduce pain and swelling in the joints. Shigru herb has fat-soluble vitamins. It is used as natural remedy to reduce obesity. Due to presence of Vitamin A in Shigru herb, it is beneficial on night blindness. Shigru Himalaya herbal medicine is used as a diuretic for the treatment of edema also used as febrifuge. It has an impressive range of medicinal uses due to its high nutritional values. Different parts of the plant contain a profile of important minerals, and are a good source of protein, vitamins, -carotene, amino acids and various phenolics. It is used as diuretic for the treatment of edema and also used as febrifuge. It is useful in inflammatory condition of joints; also it reduces pain and swelling in the joints. It is the most powerful source of natural anti-oxidants. It is used as anti-bacterial, anti-choleric and anti-viral. Manjistha is one of Ayurveda's most popular blood purifiers that has been used for lymphatic support. This herb works very well both internally and externally to promote skin glow and lustre. 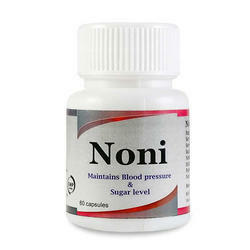 It regulates blood pressure, blood vessel constriction, and helps prohibit blood clot formation. It works in conjunction with other products in treating uterine and urinary infections, diarrhoea, dysentery, and chronic fevers. 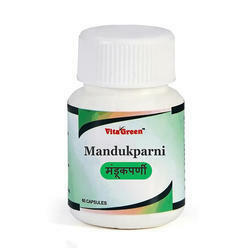 Manjistha can be used to treat irregular menstruation. The root of Manjishtha has astringent, antibacterial and diuretic properties. It is a potent blood purifier and anti-diarrhoeal.Manjistha is an herb that supports the natural function of the lymphatic system allowing nutrition to feed the cells and wastes to be removed from the body in an optimal fashion. It is used for reoccurring skin infections and other skin diseases such as pigmentation anomalies and leucoderma. It also helps remove pimples, freckles, other discolorations, and promotes the healing of skin tissues damaged by injury or infection. Punarnava is a medicinal herb and is famous for its health promoting benefits. Punarnava is used in treating obesity, improving appetite, jaundice, and general fever. The word punarnava literally means 'renewer' or one which renews the body as Punarnava tends to renew and revitalize the body systems. The extract of Punarnava has diuretic properties. It helps maintain effective kidney function. Externally Punarnava is used for fomentation to alleviate the pain and swelling. Punarnava is an excellent diuretic, anti-inflammatory, mild laxative and is a heart tonic. Punarnava support lung function and respiratory health. It helps to reduce productive cough and asthma. Punarnava benefits in anemia, hernia and respiratory distress. It has anti-spasmodic and anti-inflammatory action. It has both diuretic and anti-inflammatory properties and therefore is useful in inflammatory renal diseases. Punarnava corrects the digestive system, alleviates fluid retention and very useful in managing heart diseases. Punarnava can also be taken in liver problems and managing lipids and cholesterol up to healthy limits. Atherosclerosis (clogging or hardening of blood vessels). Shuddha Guggulu relaxes the muscles which helps relieve menstrual pain. Shuddha Guggulu acts as a blood detoxifier, which breaks up stagnation in the body. It has hypolipidemic and thyroid stimulating properties. It lowers cholesterol and triglycerides level. It is maintaining or improving HDL to LDL ratio. It is Very effective as a weight-loss and fat burning agent. It is useful in atherosclerosis, psoriasis and cardiac ischemia. It is used against obesity. Guggulu has strong purifying and rejuvenating powers. Today guggul gum resin is used for arthritis, lowering high cholesterol, “hardening of the arteries” (atherosclerosis), acne and other skin diseases, and weight loss. A very famous herb of India with worldwide fame and having magical properties known for its miraculous medicinal values from past 5000 years. Neem known as Azadirachta indica, which having antibacterial, antifungal and blood purifying properties. It is useful in treating skin disorders and teeth problems. it keeps the skin healthy and glowing. Neem act as anti bacterial, anti parasitic, anti fungal, anti protozoal and anti viral thus helps in protection from all the microorganisms, which are always ready to invade in our body causing serious ailments. In skin related diseases, neem works as blessing of God on mankind. It has an action on almost every kind of skin disease thus making its indication in eradicating every kind of itch, rash, infection and allergy. Its local application on arthritic conditions like rheumatoid arthritis, gout, Osteoarthritis, lower back pain, and musculo skeletal pains is highly recommended with good results. It is beneficial in indigestion, constipation and restoring taste of mouth. Neem is considered the "panacea," something which cures all ailments. Neem having a verity of action likes anti-viral, anti-fungal, anti-microbial, anti-bacteria, anti-pyretic, anti-inflammatory, anti-tumour, analgesic, anti-emetic, and anti-carcinogenic and blood purifying properties. Neem boosts the immune system on all levels while helping the body fight infections. Neem are useful in treating skin disorders and keeping skin healthy. Shallaki commonly known as salai guggul, shallaki reduces joint pain and swelling and increases mobility. Today its major use is as an anti-inflammatory agent for the reducing the problem of rheumatoid arthritis, juvenile rheumatoid arthritis, low back pain, myositis, fibrositis, and osteoarthritis. Shallaki, a Boswellia serrata supplement, could improve your muscular-skeleton problems naturally. It is absolutely safe in long term therapy and does not show any gastrointestinal side effects. It suppresses all kind of edema that occurs in the body. It is also very helpful in treating the asthmatic condition. It has anti-inflammatory, anti-atherosclerotic and anti-arthritic properties. The herb Shallaki possesses analgesic. By regulating the mediators of inflammation, it shows significant anti-inflammatory activity. The herb also acts as COX-2 inhibitors and reduces the pain and inflammation without affecting gastric mucosa. It also having Pharmacological action like anti-inflammatory, diarrhea, dysentery, diuretic, diaphoretic, antipyretic, stomachic, emmanogogue, diaphoretic, astringent. The hairs on the pods of the Kapikachhu plant are commonly used in itching powder to induce itching. The herb's prophylactic action against oligospermia is useful in increasing count. Kapikachhu also regularizes ovulation in women and helps prevent male and female sterility. In addition, the herb acts as a nervine tonic. Its seeds contain L-DOPA which is a neurotransmitter precursor useful in relieving Parkinson's disease. 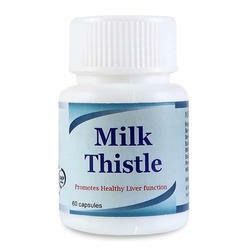 Milk thistle supports liver health by helping to rejuvenate liver cells. The exceptional benefits of milk thistle are due to its antioxidant properties, which help to promote overall health and well-being. It promotes healthy liver function antioxidant that fights cell-damaging free radicals our preservative-free gelatin capsules contain milled herb powder. These are also extremely beneficial for patients who suffer from high blood pressure, arthritis and asthma as well as those with respiratory and digestive problems. Dosage 1 Capsule Twice a day. 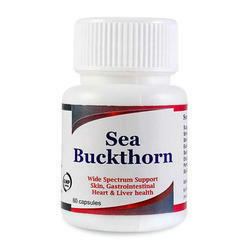 Sea Buckthorn helps to promotes health. Sea Buckthorn helps to inhibit the growth of gram-negative but not gram-positive bacteria. Sea buckthorn oil is well-known today for its healing and rejuvenating effects on the skin. When used topically, it's a great natural cleanser and exfoliator. It can also help heal burns, cuts, wounds, sunburn, rashes, and other types of skin damage. 100% herbal capsule proprietary medicine. 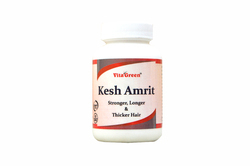 Kesh Amrit care capsule these capsules contain no preservatives, gelatin, wheat, animal by-products or starch, and they are made from pure cellulose of either pine or poplar. Capsules are fast dissolving in the stomach and easily digestible for hairfall due to breakage,Deep nourishment of your hair,Consists powerful ayurvedic herbs with no side effects Help full in deep nourishment of hair, root and scalp, checks hair loss of hair, premature greying of hair, dandruff,sleeplessness and headache. A type of blue-green algae, spirulina contains a number of nutrients, including B vitamins, beta-carotene, and vitamin E.
spirulina also contains antioxidants, minerals, chlorophyll, and phycocyanobilin. 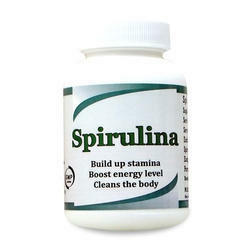 The big reason most people take Spirulina is for the weight loss benefits. It's a pretty popular diet food because it's all natural, has all the major vitamins, amino acids and nutrients and has a very high protein content (60-70% of its body weightis pure protein). It's also carbohydrate and sugar-free. Shatavari is the queen of herbs among all Ayurvedic medicinal plants. It taken in almost all menstrual problems including amenorrhea and dysmenorrheal. The herb is very helpful in treating leucorrhoea (a white discharge). Shatavari is the unique product that can be used by females of all age. In teenage, it helps in producing quality female hormones and in adult, it helps in ovulation and fertilization. Conditions that require overall female body enhancement. Shatavari relieves menopausal symptoms such as hot flashes. Used internally for infertility, loss of libido, threatened miscarriage, menopausal problems. Shatavari have galactagogue, antispasmodic, appetizer, cooling, tonic properties. It is a herb that regulates hormonal secretion. 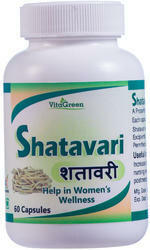 Shatavari acts as a galactagogue and is useful in promoting lactation. This herb is highly beneficial for the pregnant woman and the woman who want to conceive. It provides nourishment to the womb and supports the female organs for the pregnancy. Shatavari is extremely effective in improving the fertility. It regulates the ovulation and nourishes the female reproductive system. The herb increases the blood to the female also raises the sensation. Garlic or Lasuna known as allium Sativum is a very common and known herb for hypercholesterolemia. 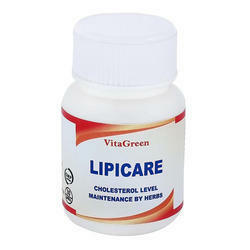 It is helpful to support healthy cholesterol levels and blood pressure levels. It is useful in the body's immune system and supports from bacterial and fungal infections. Lasuna or Garlic is a nerve stimulant and revigorating tonic that has been famous for its value in cases of weakness. Mandukaparni also known as gotu kola (Latin name: Centella asiatica) it is a brain tonic, that helps in improving memory, intellect and overall brain functions. It is also excellent in supporting and toning varicose veins and in blood circulation. It is also an herb recommended in the treatment of psoriasis. Provides vascular support and helps in soothing and minimizing varicose veins. In a study of people with varicose veins, ultrasound examination revealed improvements in the vascular tone of those who took gotu kola. Moringa capsules is helpful to treat a number of health and skin problems and even can also be used without any problem just to enhance beauty of your skin. It also helps in detoxification of body. 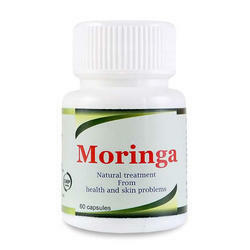 Moringa is helpful to those people who are suffering from pimples and age lines. People who are suffering from hair problems can opt for moringa Capsule as moringa is a natural substance that can help in accelerating hair growth and can also help you in getting healthy digestive system.